Based in Albany, New York, Sara Ayers' music consists of ambient explorations that spotlight her voice, sometimes alone but usually in accompaniment with guitars, delays, or synths. The music has a haunting and ethereal quality with Ayers' vocals combining the experimentalism of Laurie Anderson with the sheer beauty of Kate Bush or Joni Mitchell. The ambient possibilities of the voice are thoroughly investigated across the CD's 11 tracks, producing an enjoyable and often adventurous set. Tracks like "Winter And The Sound Of Nothing", and "Starless" brought to mind Celtic pop-soundscape artists like Enya or Clannad, though Ayers' has a more minimal approach, mixing the vocal style of those artists with repetitive layers of ambient sound. 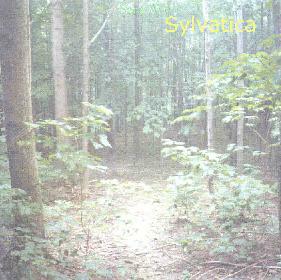 "Sylvatica" and "21 Years" feature layers of looped voicings that create an avant-symphonic chorus of wordless verbal expression. "Flight" is similar to "Sylvatica" but builds on a single repeating vocal phrase. A dark piano melody is soon introduced that Ayers sings a more "normal" song to while the opening vocal pattern continues. I liked the mysterious contrast between the two vocal stylings. One serene and the other oddly beautiful though performed in a more avant garde manner. "Are You Coming Home?" is one of the more experimental pieces on the album. Numerous voices and samples cooperate and compete to produce a collage effect. Meditative while demanding the listener's attention. There are also harsher tracks that give an edge to Ayers' brand of ambience. "Falling Silent" And "Of The Woods" feature pulsating drones that add a bit of noise to the ambience. "Lachrymatory" is laden with cosmic space drones. And "Dream Of Noise" includes heavier droning space guitars. In summary, Sara Ayers does an impressive job of fusing exploratory ambient music with avant garde vocal experimentations to produce music that is simultaneously jarring and beautiful. Fans of Eno and Laurie Anderson should take note. You can visit Sara Ayers at her web site. There are loads of sound files available at Sara's Mp3.com web site.